"Attorney Silvert did a great job negotiating with the insurance company of the at fault driver who rear-ended me and totaled my ancient convertible. The car had a lot of value to me, but not a lot of cash value. Silvert negotiated a payment that was more than double the blue book value of my vehicle, (Although not nearly enough to replace it. So sad.). She did a great job of collecting evidence and presented it effectively." "I am pleased to write this letter to express how pleased I am that Attorney Silvert was able to represent me in my Workers' Compensation case. From our initial consultation, she seemed to take interest in my case, which made me feel she really cared what had happened to me. Her preparation was thorough and complete. 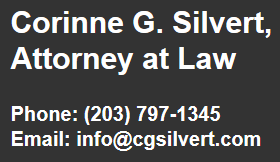 The result of my experience with Attorney Silvert is that I received a settlement that I was very satisfied with. 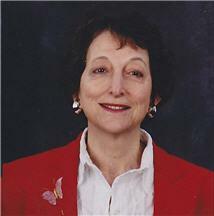 I found Attorney Silvert to be very knowledgeable in regards to the workers' compensation laws. I also appreciated the fact she was always well organized and returned my phone calls personally and promptly. I would highly recommend her to anyone in need! Thank you for all your help." Sincerely, Cheryl Mielniczek Naugatuck, CT.
To learn more about the representation I provide, contact Corinne G. Silvert, Attorney at Law, by calling (203) 797-1345.